Business at Ipswich’s Wet Dock is booming as ABP announces a tremendous start to 2017, seeing an 16% increase in the number of passengers enjoying a river trip from the Waterfront in comparison to the same period in 2016. ABP says this rise in leisure visits has resulted from a combination of the hottest summer East Anglia has seen since 1976 and the continuous improvement in the visitor and leisure trip offerings available from the Ipswich Waterfront. 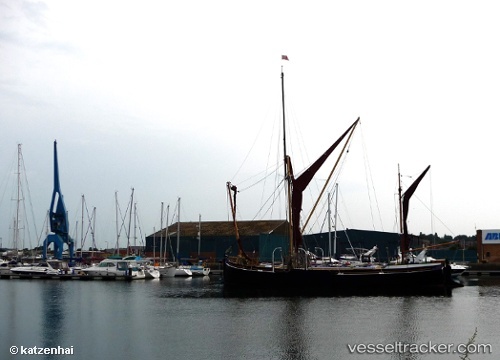 The town’s three trip boat operators are restaurant boat operator Allen Gardiner, River trip operator Orwell Lady and Ipswich's own Thames sailing barge, TSB Victor. They all operate from Ipswich Waterfront and have enjoyed an increase in the number of passengers and the trips that they offer. In June the three vessels carried 2,950 passengers compared with 2,551 last year, which is an increase of 15.6% with 131 trips against 107 in 2016.